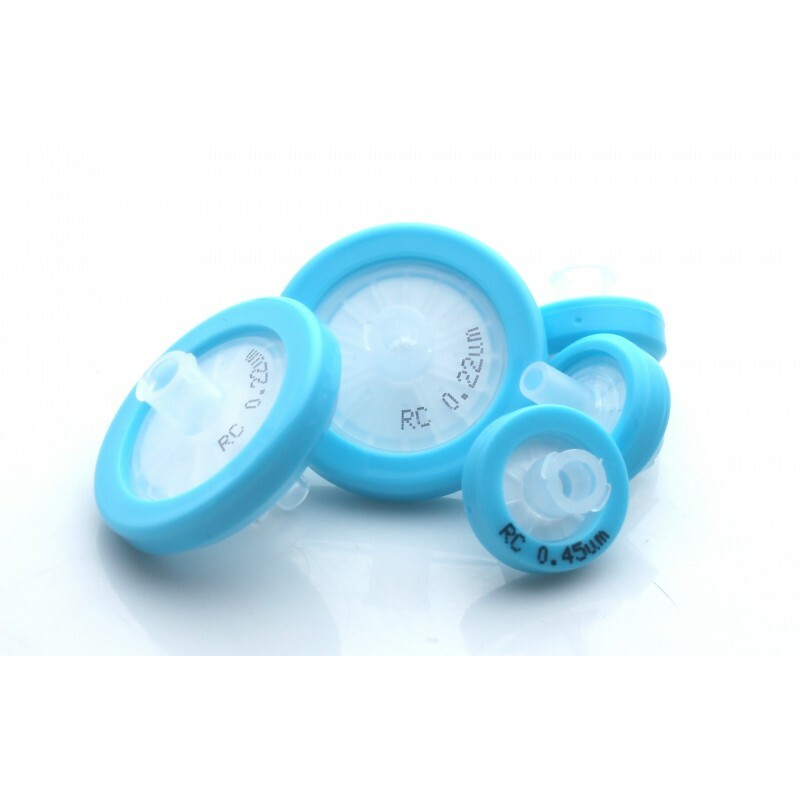 RC Non-Sterile Syringe Filters - Products | Simsii, Inc.
Simsii Regenerated Cellulose non-sterile syringe filters are ideal for filtration of organic and aqueous solutions and particle filtration. We offer these filters in diameter of 13mm and 25mm with respective pore sizes of 0.22 and 0.45 microns. They ensure reliable filtration and better compatibility with aqueous solutions. We offer the filters having high flow rates for rapid particle removal without any leakage. The propylene housing of our RC syringe filters is optimized to withstand harsh chemicals and solvents. For maximum user convenience, we have ready-to-connect filter units having a universal fit and proven quality. In fact, our RC filters are ideal for leachable-free filtration as well. They remain stable against DMSO, amides, ethers, ketones, and esters. Call us today to know more about this product or place your order online.